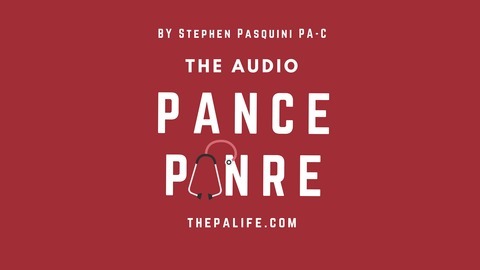 Multiple Choice Physician Assistant Board Review Questions on the Go – Listen and Learn. 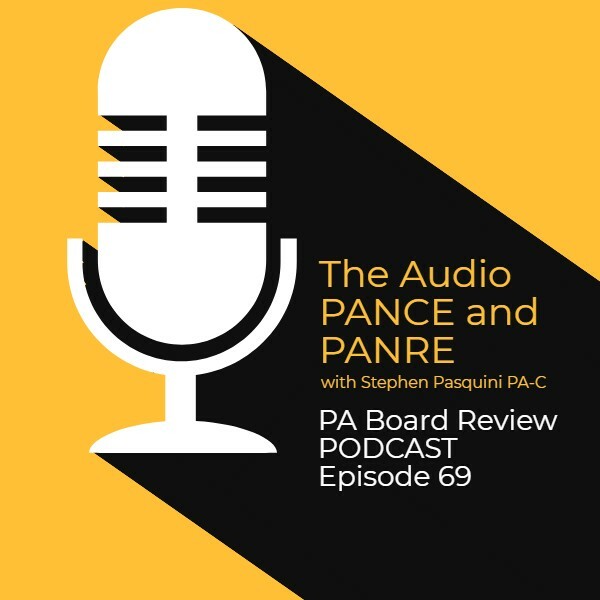 Welcome to episode 69 of the Audio PANCE and PANRE PA Board Review Podcast. 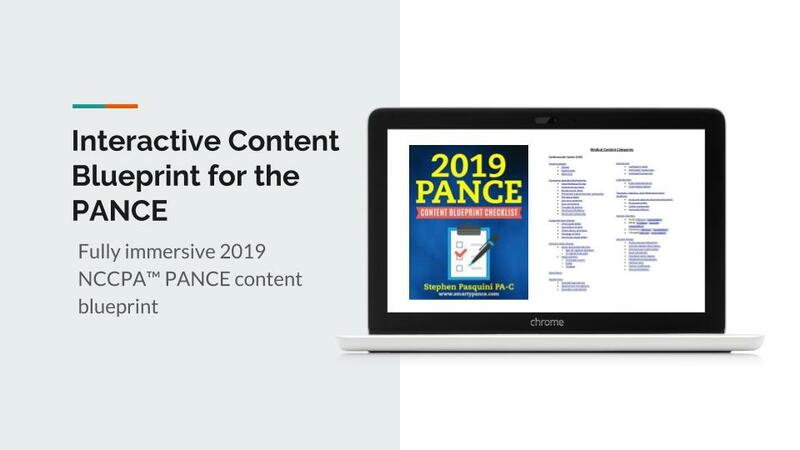 Join me as I cover ten PANCE and PANRE Board review questions from the SMARTYPANCE course content following the NCCPA content blueprint (download the FREE cheat sheet). This week we will be covering ten general board review questions based on the NCCPA PANCE and PANRE Content Blueprints. I hope you enjoy this free audio component to the examination portion of this site. The full board review includes over 2,000 interactive board review questions and is available to all members of the PANCE and PANRE Academy and Smarty PANCE. You can listen to the latest episode, take an interactive quiz and download your results below. If you can’t see the audio player click here to listen to the full episode. The following questions are linked to NCCPA Content Blueprint lessons from the Smarty PANCE and PANRE Board Review Website. If you are a member you will be able to log in and view this interactive video lesson. 1. Which of the following is the most common cause of acute myocardial infarction? B. Thrombus development at a site of vascular injury – Acute myocardial infarction occurs when a coronary artery thrombus develops rapidly at a site of vascular injury. In most cases, infarction occurs when an atherosclerotic plaque fissures, ruptures, or ulcerates and when conditions favor thrombogenesis so that a mural thrombus forms at the site of rupture and leads to coronary artery occlusion. A. Coronary microemboli occlusion is a rare cause of acute myocardial infarction. C. Congenital abnormalities are rare causes of acute MI. D. Severe coronary artery spasm is more likely to result in Prinzmetal’s angina rather than true infarction. 2. Endotracheal intubation should be performed with caution in patients with which of the following underlying conditions due to the propensity to cause subluxation of C1 on C2? A. Rheumatoid arthritis – Patients with advanced rheumatoid arthritis will have synovitis of the atlantoaxial joint (C1-C2) which may damage the transverse ligament of the atlas, producing a forward displacement of the atlas on the axis (atlantoaxial subluxation). B. Although patients with osteoarthritis may have neck pain and stiffness, there is no predilection for the atlantoaxial joints. C. Patients with gout are likely to have involvement of peripheral joints rather than spinal joints. D. Patients with pseudogout are more likely to have involvement of the knees, wrist, shoulder, ankle, elbow, and hands rather than the cervical spine. 3. Which of the following interventions is the treatment of choice for an actinic keratosis? B. Cryotherapy – Cryotherapy is the treatment of choice for isolated superficial actinic keratosis. A. Mohs surgery and radiation therapy are not indicated in the treatment for actinic keratosis. C. Acid peels can be used to treat actinic keratosis but are not the treatment of choice. D. A weakness of thumb abduction – Median nerve injury causes weakness of thumb abduction (measured by thumb opposition strength) along with thenar atrophy. Tinel’s and Phalen’s signs will also be positive with carpal tunnel syndrome. A. Hypothenar atrophy may occur with aging and disuse but it is not part of the median nerve involvement that occurs with carpal tunnel syndrome. B. Finger abduction weakness is associated with ulnar nerve injury, which does not occur with carpal tunnel syndrome. C. Radial nerve injury causes weakness of wrist extension and this is not part of carpal tunnel syndrome. 5. A 78-year-old male with history of coronary artery disease status post-CABG and ischemic cardiomyopathy presents with a complaint of progressive dyspnea and orthopnea. He also complains of lower extremity edema. The patient denies fever, chest pain, or cough. On physical examination, vital signs are BP 120/68, HR 75 and regular, RR 22, afebrile. You note the patient to have an S3 heart sound, jugular venous distention, and 2+ lower extremity edema. The patient is admitted and treated. Upon discharge from the hospital, the patient should be educated to monitor which of the following at home? A. Daily weights – Home monitoring of daily weights can alert the health care provider to the early recognition of worsening heart failure. B. Spirometry monitoring is important in a patient with asthma, not heart failure. C. Daily blood glucose monitoring is important in a patient with diabetes, not heart failure. D. Daily fat intake is important, but will not improve his heart failure management. 6. Which of the following rotator cuff tendons is most likely to sustain injury because of its repeated impingement (carpal tunnel syndrome) between the humeral head and the undersurface of the anterior third of the acromion and coracoacromial ligament? A. Supraspinatus – A critical zone exists for the supraspinatus tendon due to its superior insertion site. It is susceptible for injury because it has a reduction in its blood supply that occurs with abduction of the arm. Impingement of the shoulder is most commonly seen with the supraspinatus tendon, the long head of the biceps tendon and/or the subacromial bursa. 7. Which of the following diagnostic findings in the urinary sediment is specific for a diagnosis of chronic renal failure? C. Broad waxy casts – Broad waxy casts in urinary sediment are a specific finding in chronic renal failure. A. Hematuria and proteinuria are frequent, but nonspecific, findings in chronic renal failure. D. Hyaline casts may be found in normal urine or in states of dehydration. 8. In addition to tobacco products, which of the following is also considered a major risk factor in the development of oral cancer? B. Alcohol abuse – Major risk factors for the development of oral cancer are the use of tobacco products and alcohol abuse. A. Sun exposure is a risk factor for cancer of the lip but is not considered a major risk factor for oral cancer. C. While occupational exposures and the presence of premalignant lesions, such as leukoplakia, are risk factors for the development of oral cancer, they are not considered major risk factors. D. History of oral candidiasis has no correlation to the development of oral cancer. D. intranasal petrolatum gauze – Petrolatum gauze will provide pressure to the bleeding point while the cause of bleeding is corrected. A. Cautery is not used because the edges of the cauterized area may begin to bleed. B. Silver nitrate is not used in children because it increases the risk of nasal septal perforation. C. Posterior nasal packing is indicated for posterior bleeds in the inferior meatus. 10. A 2-year-old female presents with purulent nasal discharge bilaterally with fever and cough for several days. Her mom had taken her out of daycare for a similar occurrence 2 months ago, that was treated with Amoxicillin. Exam further reveals halitosis and periorbital edema. Treatment should be initiated with which of the following? D. Amoxicillin-clavulanate (Augmentin) – High dose amoxicillin-clavulanate is the treatment of choice for resistant bacterial sinusitis, especially in children presenting with risk factors (daycare attendance, previous antibiotic treatment 1-3 months prior, age younger than 2 years). A. Antihistamines and intranasal corticosteroids have not been adequately studied in children to prove they make a difference in treating recurrent sinusitis. B. Ribavirin is approved for the treatment of RSV infection. Print it up and start crossing out the topics you understand, marking the ones you don’t and making notes of key terms you should remember. The PDF version is interactive and linked directly to the individual lessons on SMARTY PANCE. 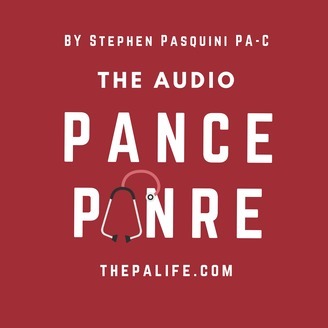 The post Podcast Episode 69: Ten PANCE and PANRE Board Review Audio Questions appeared first on The Audio PANCE and PANRE.